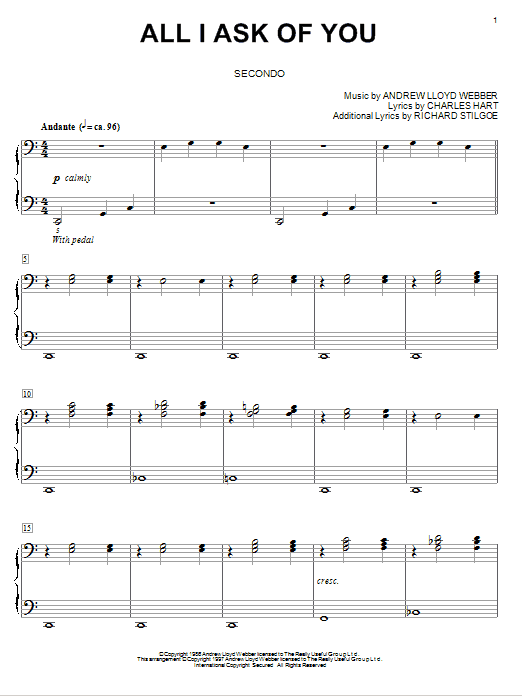 Description: The music of Andrew Lloyd Webber dominates the entertainment scene. 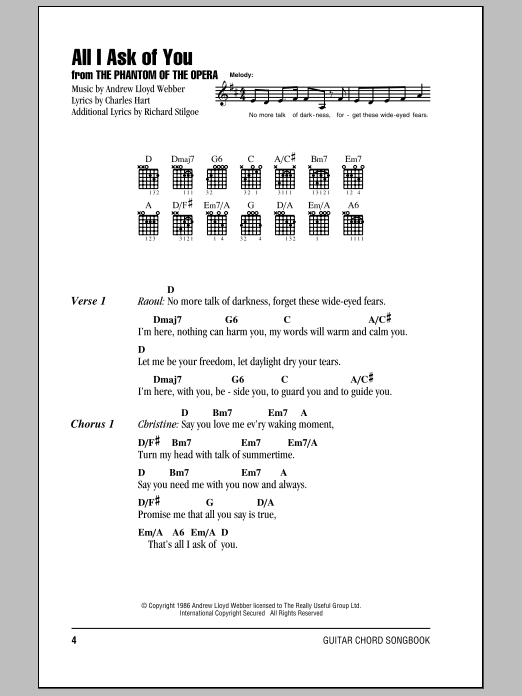 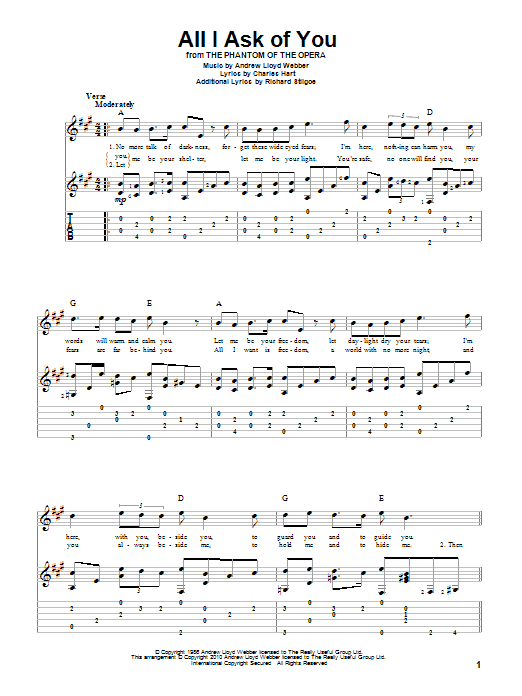 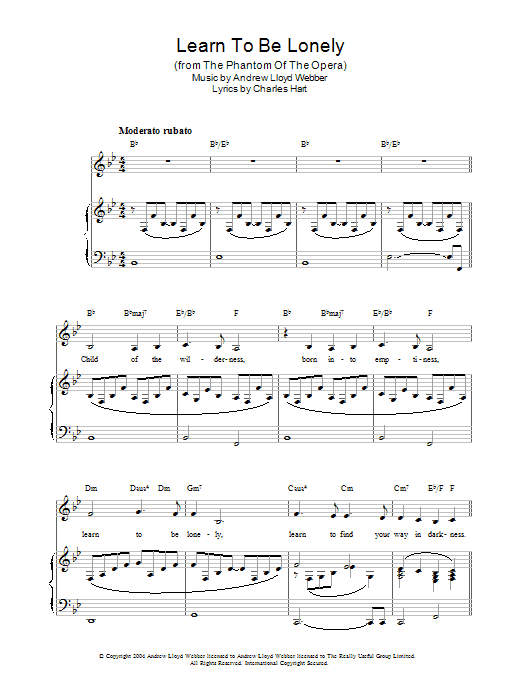 This digital folio contains Piano/Vocal/Guitar sheet music arrangements to five songs, ready for instant download for only $9.99. 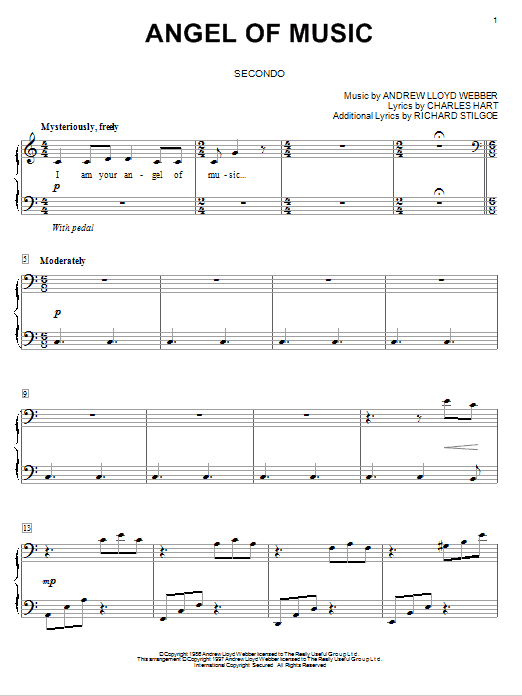 Description: This digital folio contains favorite Andrew Lloyd Webber songs from some of his most popular musicals. 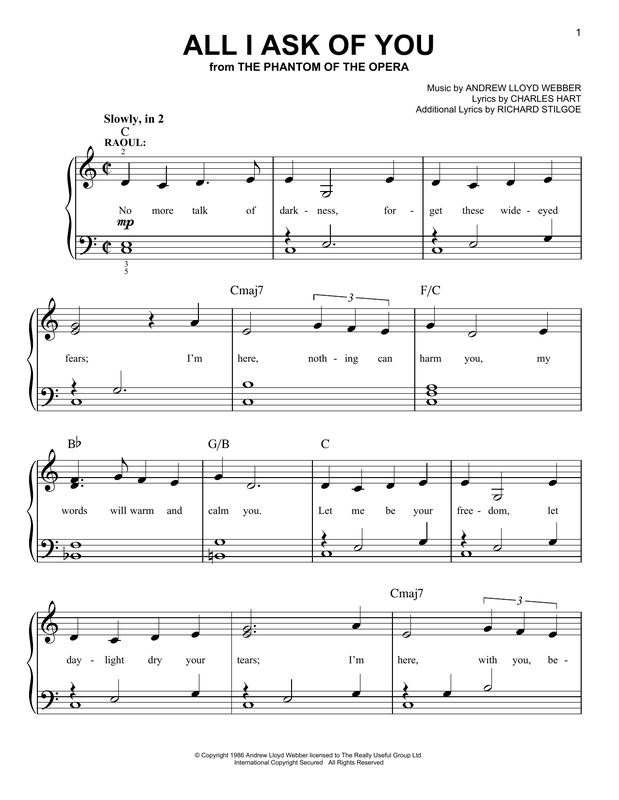 Purchase this collection of songs for only $9.99 and save nearly 50% versus individual pricing! 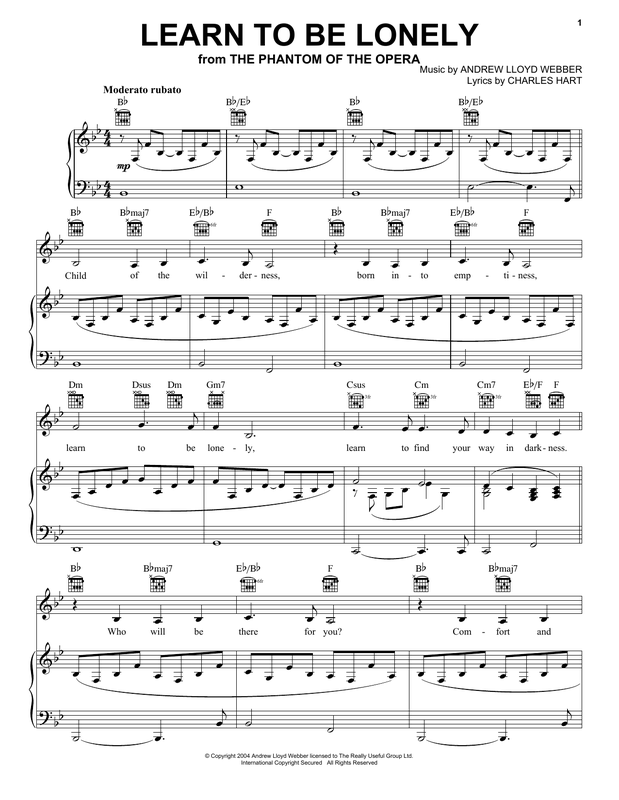 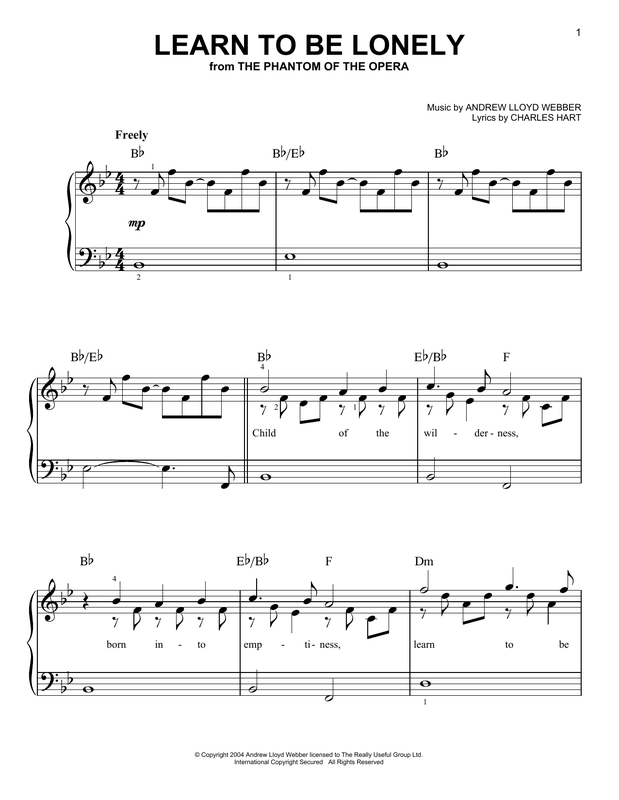 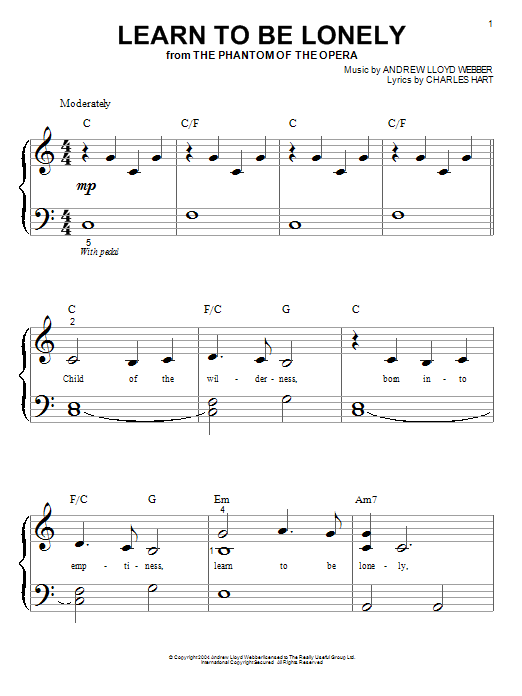 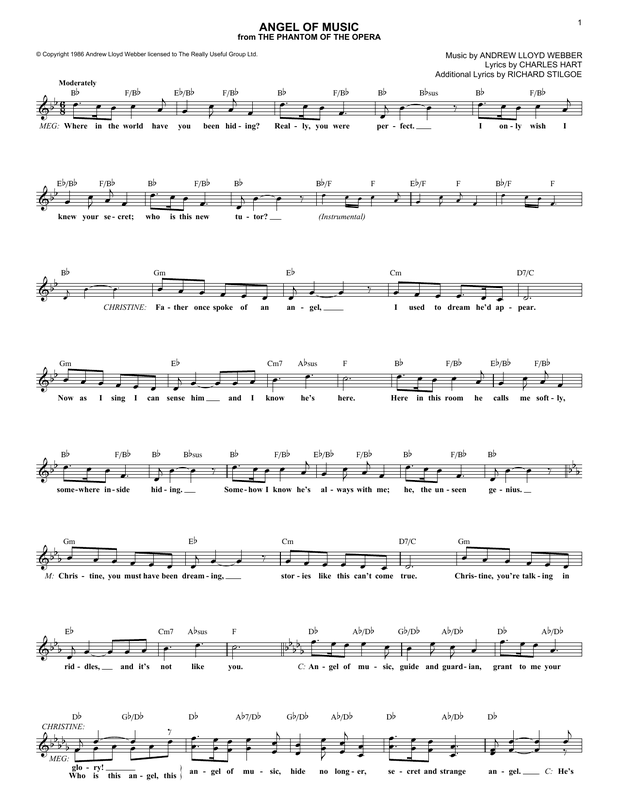 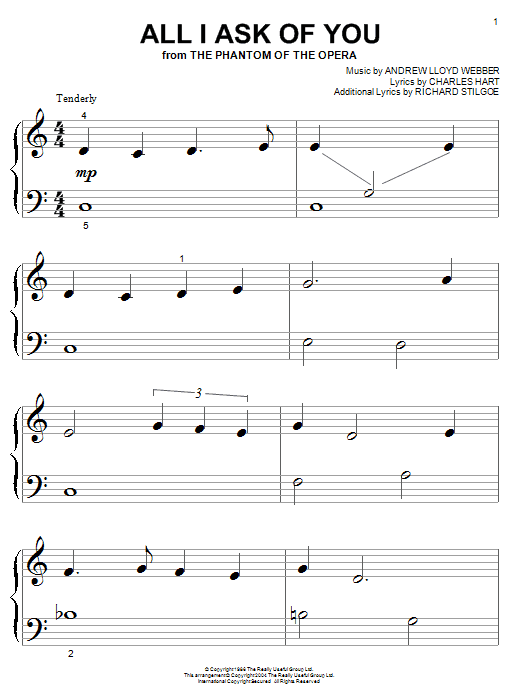 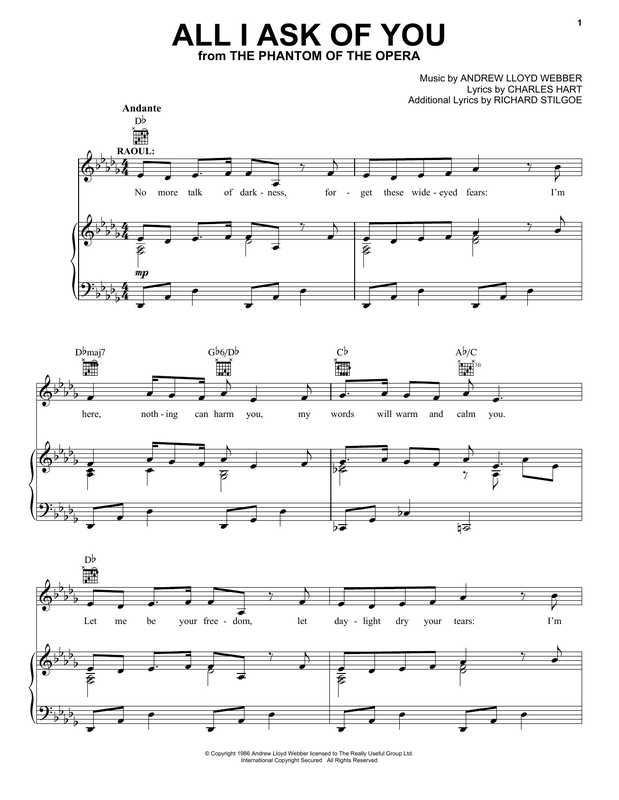 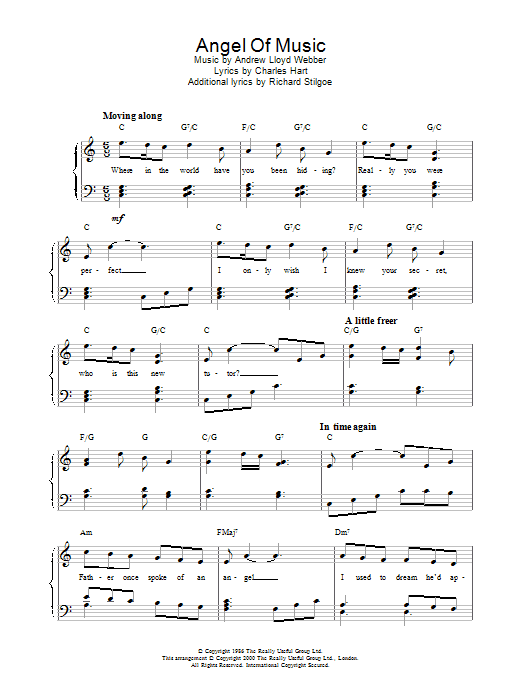 Description: This digital sheet music folio features piano/vocal/guitar arrangements for five popular hits from the Broadway shows: Company, Oklahoma!, The King And I, The Phantom Of The Opera and South Pacific. 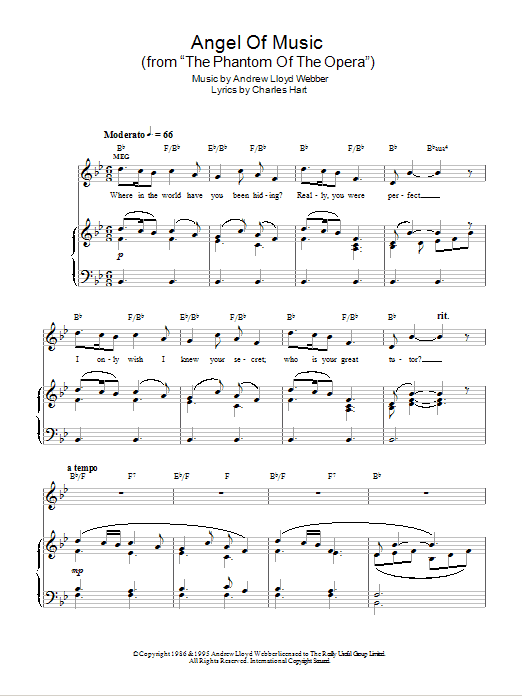 Download and print all five classic songs for only $9.99 and save nearly 50% versus individual pricing! 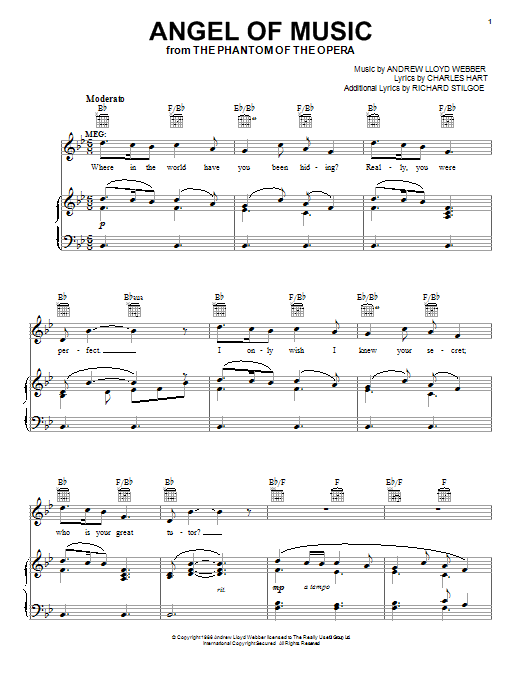 Description: For only $9.99, you'll get five great Broadway love songs in this fantastic folio. 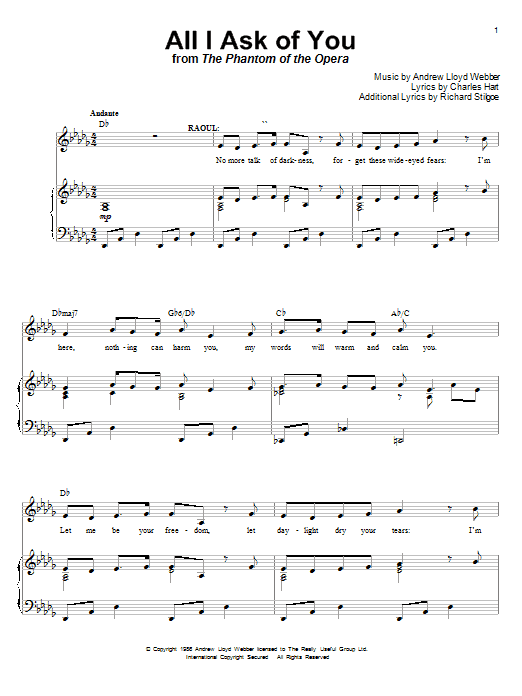 Description: You'll be getting five fantastic Broadway love tunes for only $9.99 when you purchase this folio. 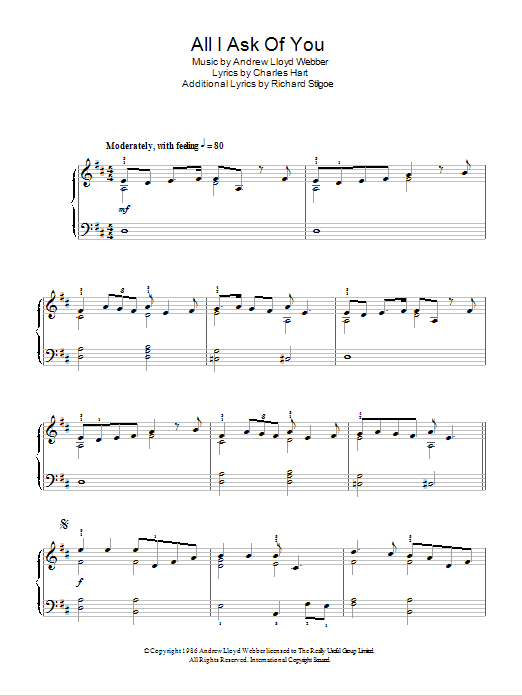 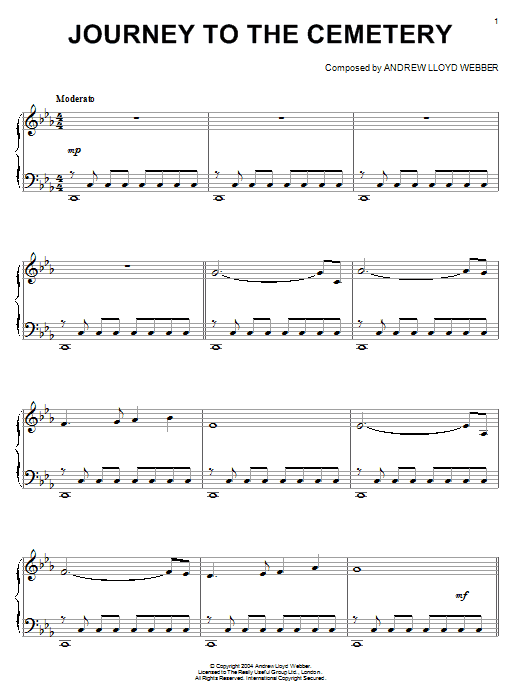 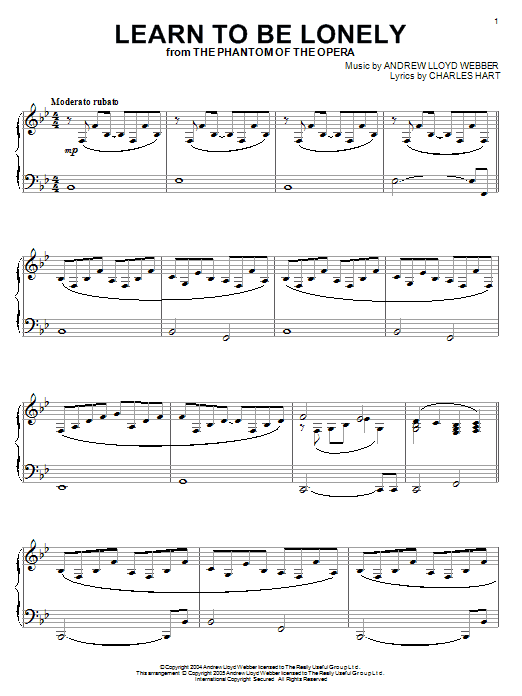 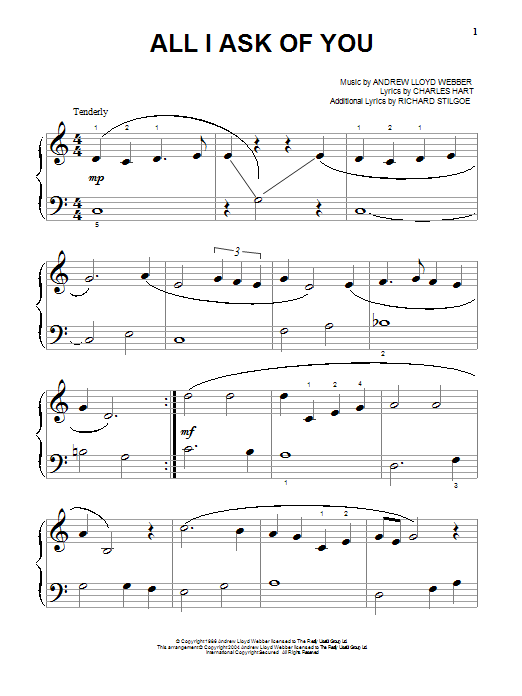 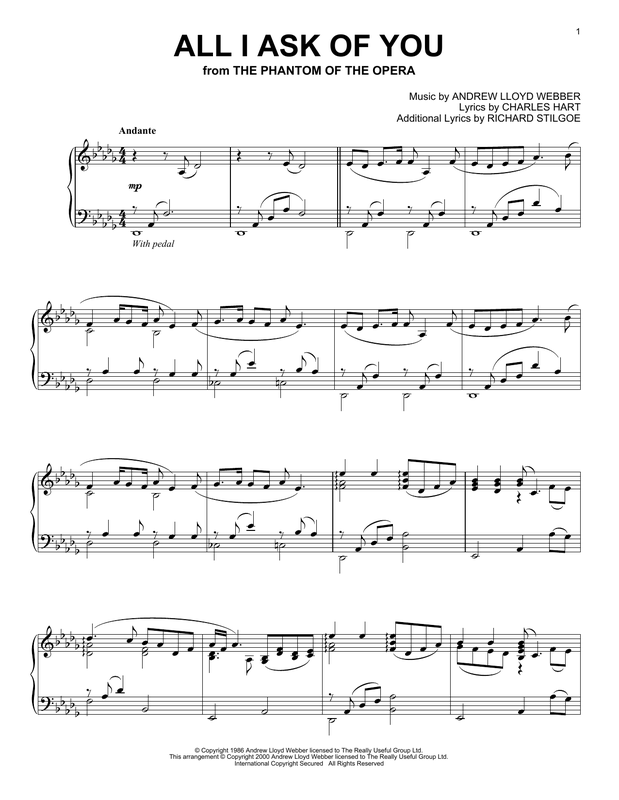 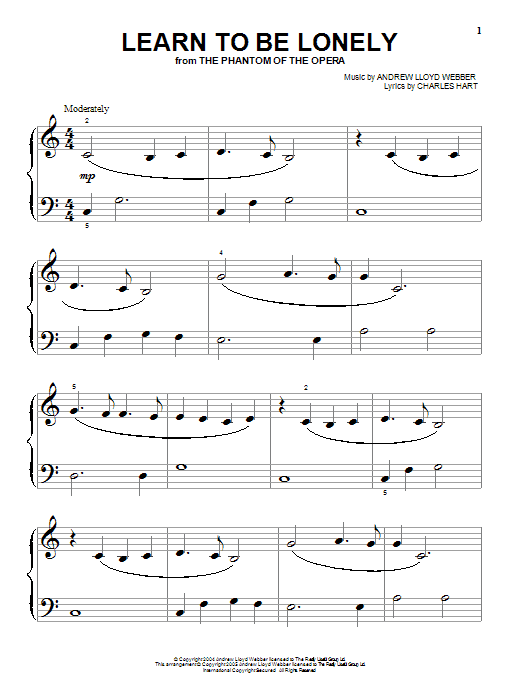 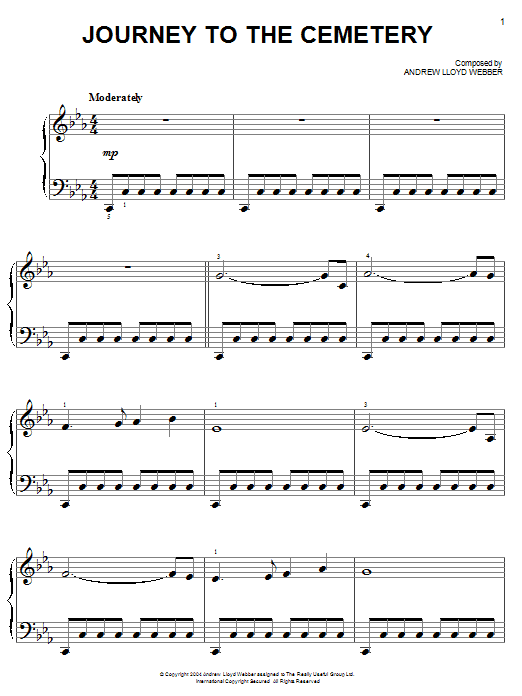 Description: Download, print and play digital sheet music arrangements for these five songs from Andrew Lloyd Webber's Broadway spectacular The Phantom Of The Opera for only $9.99 and save nearly 50% versus individual pricing.